No this is a touring bike from a simpler era. And as far as I’m concerned, if I can justify weird and unusual or forgotten machines as “sport bikes” I’ll include them. Looking like a traditional UJM that’s somehow… off… Just what is it, something wrong with the scale, just slightly… Oh my god! It’s huge! And are those six cylinders?! It really is a bulky machine, but with simple lines and undeniable presence. Pumping out 120hp from its straight six, with water-cooling and shaft drive, it got exactly the reviews you’d expect from a machine like this: it was smooth. Powerful. It was stable, like a locomotive. There was limited cornering clearance. It was powerful. Comfortable. Did we mention powerful? 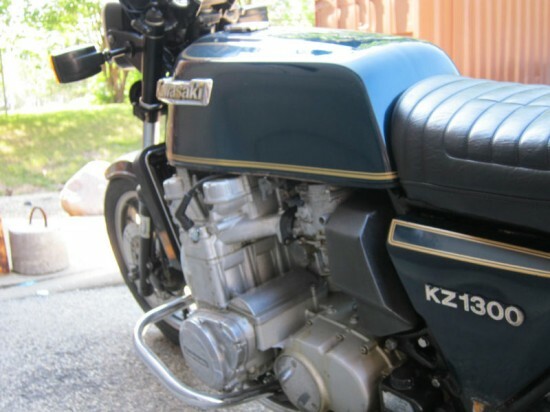 The original Trifecta of “six cylinder” motorcycles in the late 70’s and early 80’s consisted of the Honda CBX, the Kawasaki KZ1300, and the two Benelli Six Cylinders [750 cc and 900cc]. These motorcycles were originally of course made for the purpose of riding, touring, and eating up hundreds of miles on the road in comfort. They were all fast for the day and were also considered very reliable. Today the Trifecta is considered highly collectible and the smart collectors are getting a copy each in their collection. Today we have a most unusual offering that the KZ1300 in this ad is the exact motorcycle that was used in both the Cycle World road test and Motorcycle Classic road test. The owner has indicated that he would consider ending the auction on this motorcycle for the sum of 6,750.00. 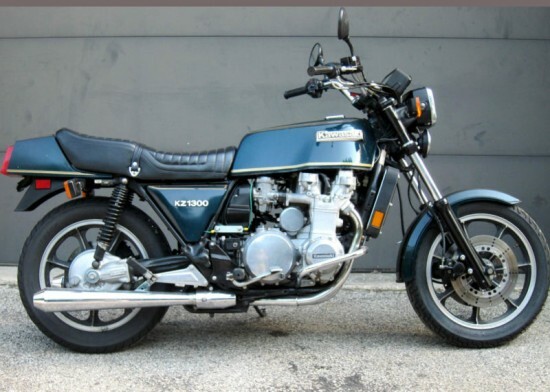 IF YOU ARE A COLLECTOR OF ICONIC 70s & 80s BIKES, A FIRST YEAR KAWASAKI SIX CYLINDER IS AN ABSOLUTE MUST FOR YOUR COLLECTION. 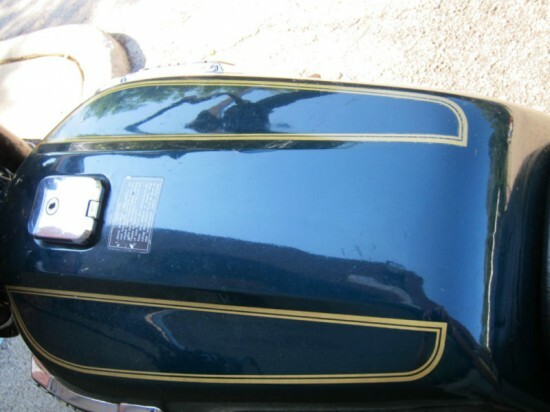 AFTER THAT WE WOULD RECOMMEND A FIRST YEAR CBX AND EITHER A BENELLI 750 CC OR BENELLI 900 CC. Really? You’d recommend I buy your bike first? Wow, I’m glad I asked. 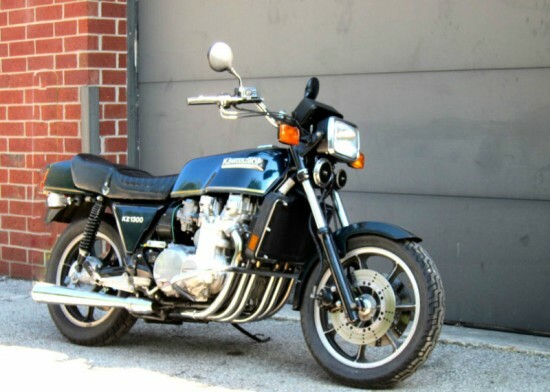 In any event, this looks like a classic Japanese bike that offers the sort of performance that most riders are looking for in the real world. 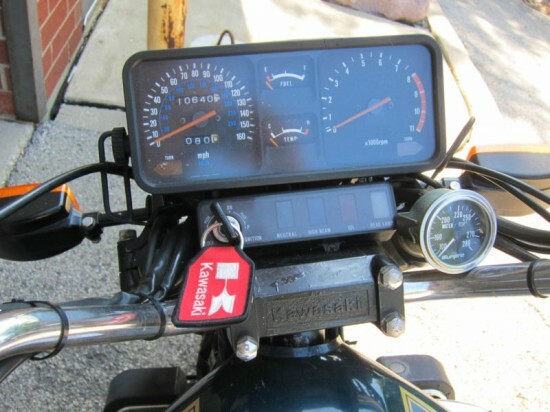 It’ll out-cruise just about anything on the road, and classic, carburetted straight six motorcycles sound simply amazing. Oh, and it makes lots of lazy power. I read an article once about one of the fathers of the stunting-scene in the UK, who started out riding one of these simply because it was cheap to buy and so stupidly easy to do burnouts on. Where is this bike located? Again…Where is the bike located and what is the asking price. Thanks! I was the one that suggested this bike since I’ve got one in my garage I’m trying to clean up. This ad was listed on Ebay twice and as far as I could tell never met the reserve price. I wanted to see more examples of how much these bikes sell for and was hoping to give it more exposure lol (They dont come up for sale very often.). 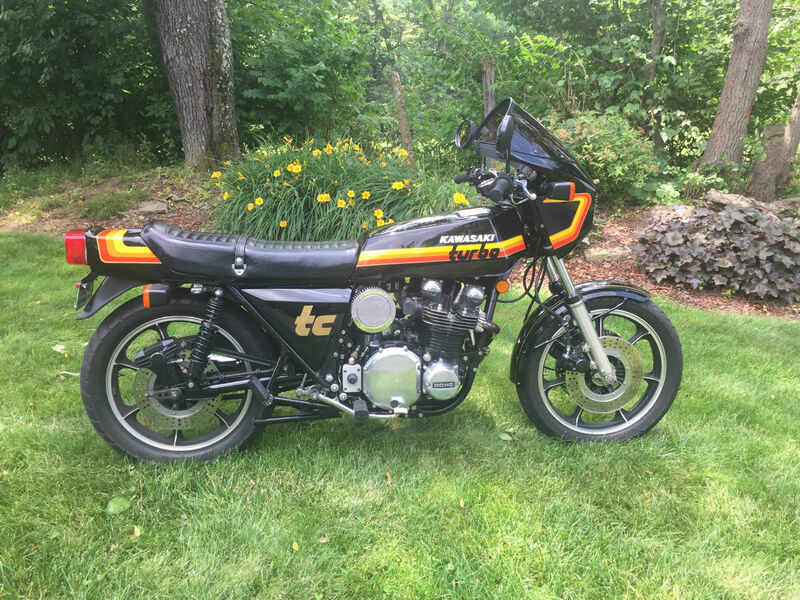 I saw a kz1300 earlier this year go for 9,000 on Ebay. Was a pretty nice living room bike.